One of the main reasons for buying an organic latex mattress topper is to improve the quality of your sleep. It can be a good alternative to buying a new mattress, too, especially if you do not have the budget to upgrade. With an organic latex mattress topper, you can revitalize your sleeping surface to make it more even and comfortable for resting. Organic latex promotes good health by maintaining a neutral temperature. Hence, it will not feel too hot or too cold as you sleep, so you can enjoy continuous slumber without any discomfort. Latex supports your body by following your contours. This way, it prevents backaches and sore spots. Buying a mattress topper may seem straightforward, so most consumers typically choose the cheapest product. But you might want to consider giving more thought to your purchase if you want to a truly high-quality product that can help you sleep well. Be sure to buy from a reputable and trusted source. Look for an established and experienced retailer of organic mattresses and bedding online, but arrange a visit to its showroom to personally view its selection of mattress toppers, if at all possible This is a good chance to learn more about the retailer’s mattress toppers and to verify the look and feel of the products. Find out what the mattress topper is made of. Do not instantly believe what you see, read, or hear until you have done enough research about the organic latex mattress topper. Many retailers will claim that they use natural or organic latex in their products, but you can never be too sure about their claims until you have verified them. 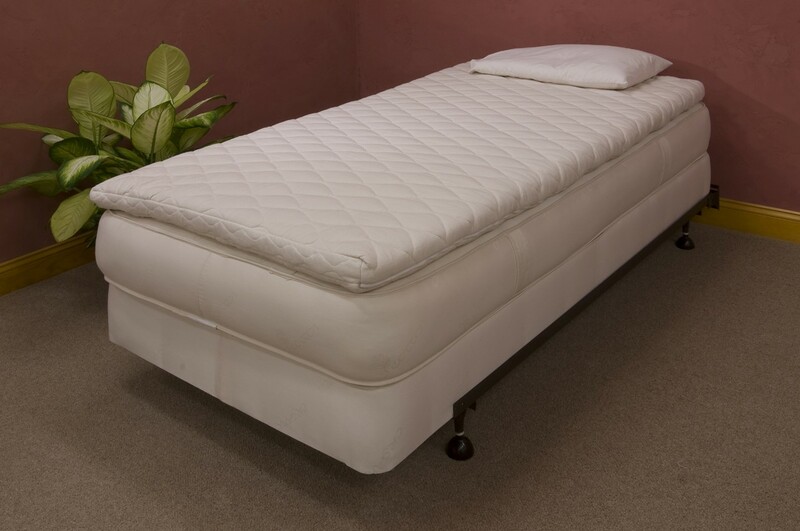 Make sure that the mattress topper is made of natural Dunlop latex inside and organic cotton fabric outside, with a layer of natural or organic wool within the rubber, or all wool.